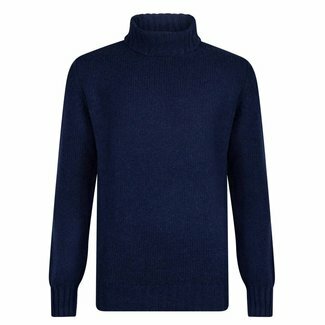 Roll neck sweater for men in a beautiful dark blue shade. 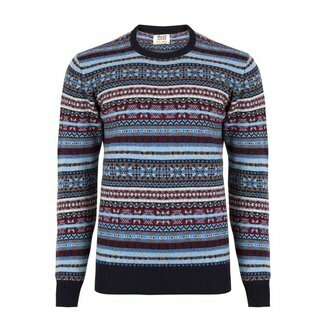 Th..
William Lockie Fair Isle men's sweater blue, made of a high ..
Cable knit sweater for men in light grey. This stylish sweat..
Cable knit sweater for men in dark blue. 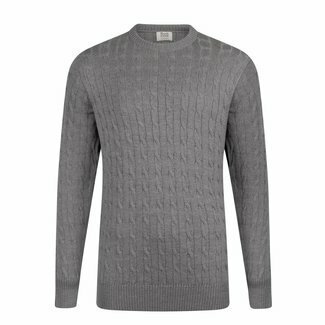 This stylish sweate..
Cable knit sweater for men in dark grey. This stylish sweate..
William Lockie Fair Isle men's sweater green, made of a high..
William Lockie red men's sweater with v-nek, made of Geelong..
William Lockie green men's sweater with v-nek, made of Geelo..
William Lockie men's sweater with v-nek in navy, made of Gee..
William Lockie men's sweater with v-nek in beige, made of Ge..
William Lockie men's sweater grey made of lambswool. 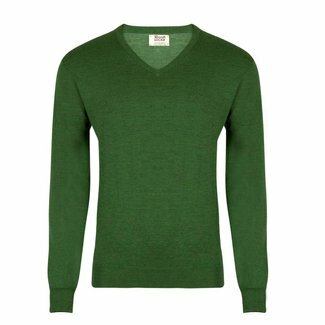 The swe..
William Lockie men's sweater green made of lambswool. 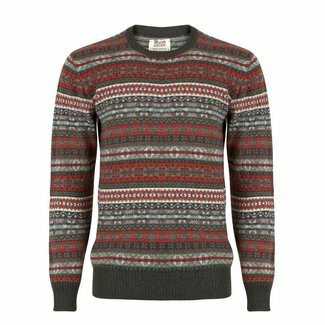 The sw..
William Lockie Fair Isle men's sweater red, made of a high q.. 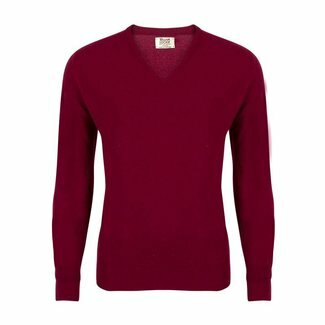 The men's sweaters from our collection are characterised by quality, style and comfort. The variation in luxurious materials and colours is typical for our collection. In addition to basic men's pullovers, you can also buy sweaters that are slightly different by the knit structure and pattern. 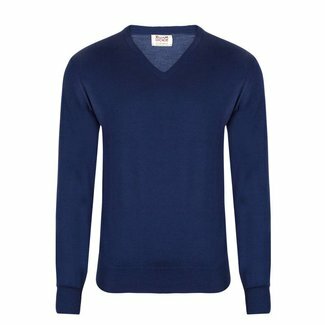 Wool men's sweaters are worn during different seasons. 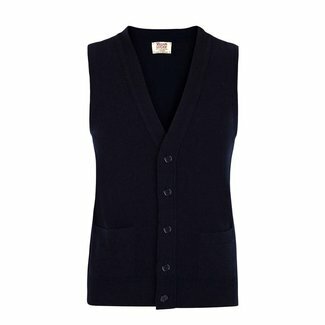 In our collection we take this into account by offering different types of wool. 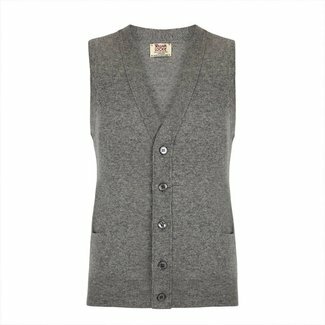 With wool you may only think of the cold winter days, but this material also lends itself well to other seasons. There is a big difference between the types of wool. 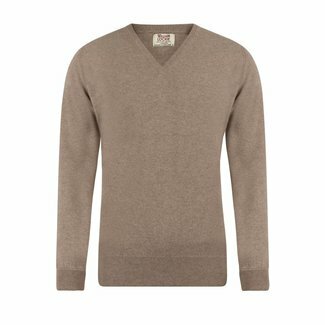 For example, a lambswool sweater has the ability to give a lot of warmth, a pleasant kind of wool to wear in autumn and winter. 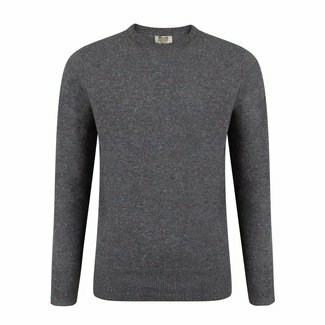 Merino wool reacts to your body temperature, the wool keeps you warm when it is cold and cool when it is warm. 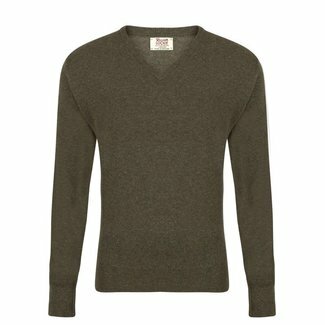 A merino wool sweater for men feels thinner than lambswool and is pleasant for spring and autumn. 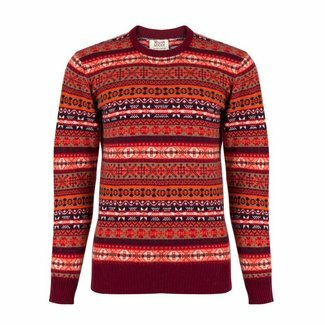 The trend among the men's sweaters is the Fair Isle. 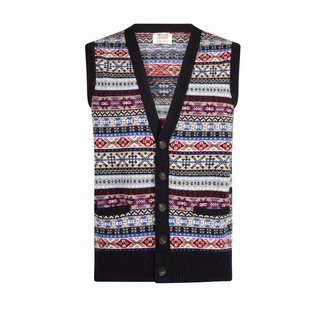 This fashion item is a traditional garment from Northern Scotland. There, the Fair Isle knitting technique was developed with which you can knit patterns in different colours. 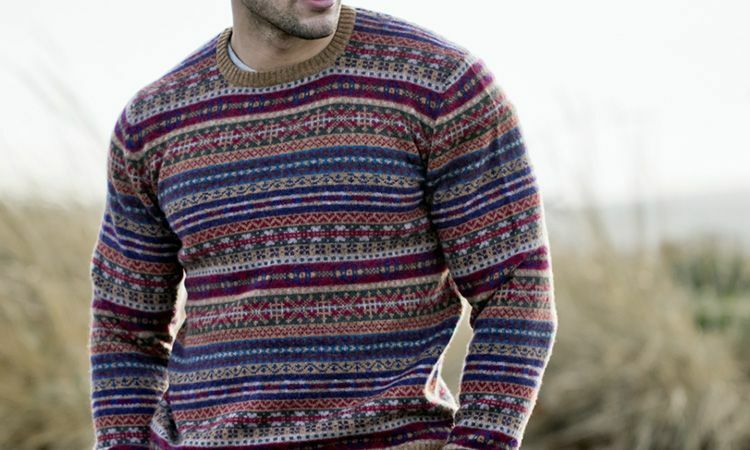 A Fair Isle sweater is made of lambswool and has a colored pattern. You may recognize it as the "holiday sweater" for the holidays, but nowadays it is a must have for everyday use. Do you want it to be a bit different than a fine knitted pullover in a basic colour? 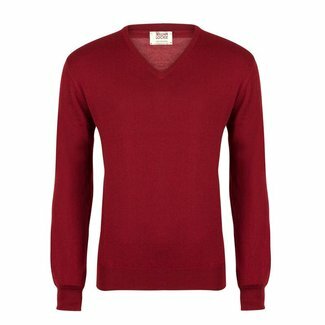 Then choose an interweave sweater with a round neck, a pullover in one colour with a knitted structure. 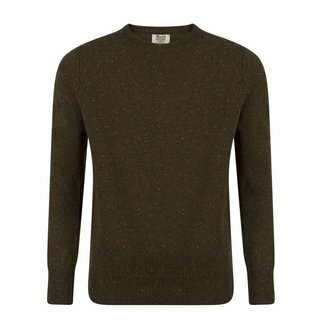 Also recommended is the donegal, a men's sweater with v-neck made of wool with an interwoven speckle in contrasting colour. 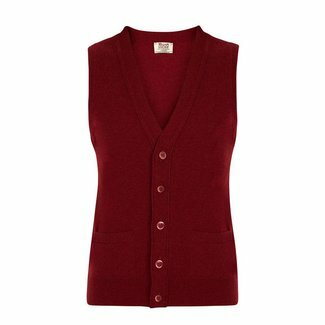 Our collection includes many types of pullovers from coarse knitted to extra fine. 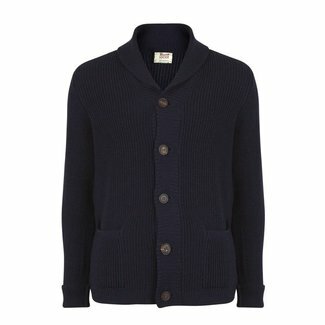 The man who chooses the classic sweater can perfectly manage a sweater for everyday use. 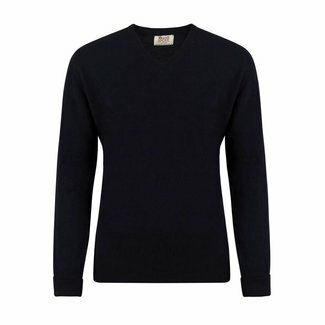 From lambswool men sweater with v-neck to merino wool pullover with round neck for every there is a suitable model. Discover the collection here!